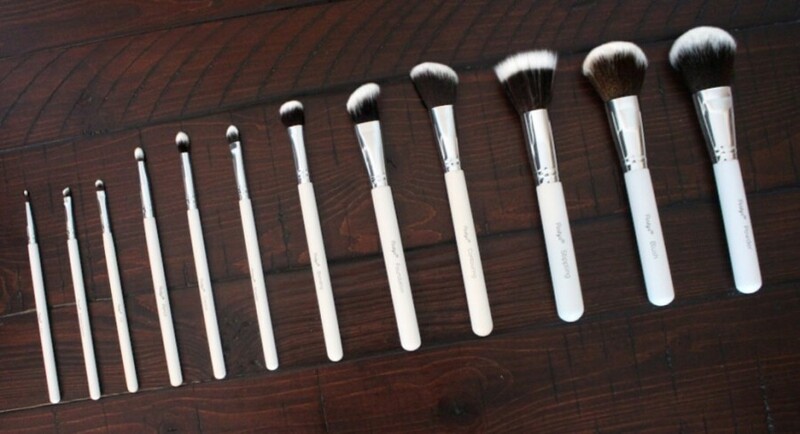 A beautiful 12 piece makeup brush kit that can travel with you anywhere! 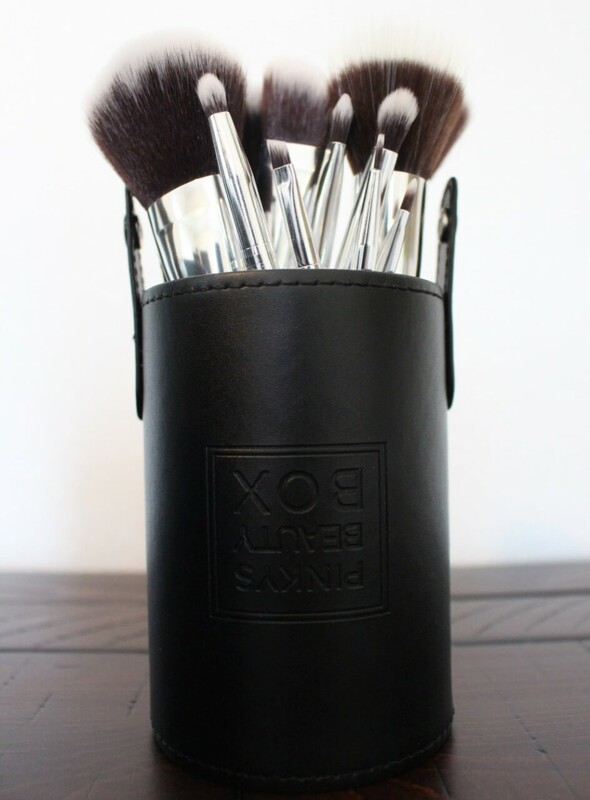 Our brushes have been crafted with great care and of the finest quality and durability. Whether you are going on vacation or just hitting the gym, now you can carry your makeup brushes in this cute makeup brush holder. 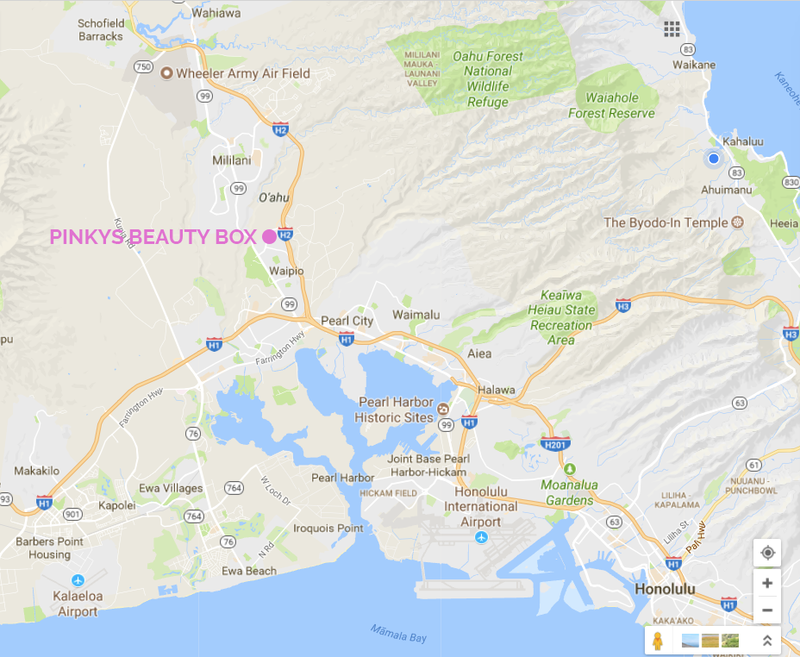 A great solution for all you make artist (MUA) who travel to your clients for work, or just perfect for anyone who loves makeup! Angled Detailer - A multi-purpose brush that can be used to apply eyeliner, blend harsh lines, or for highlighting under the brow. The angled brush is made to fit along your lash line or under your brow and gives you the ability to apply your favorite color with great precision. For liner application, press the angled brush into your liner color then dab it along your lash line to create a flawless look. Blending - A brush designed to blend out or soften edges wherever needed. Sweep the brush back and forth in the affected area to create a seamless transition between colors. Blush - The blush brush that’s perfect for applying just the right amount of blush every time! Our synthetic densely packed bristles provide even distribution. Firm enough to pick up the perfect amount of colour, yet soft enough to apply evenly. Contouring - This brush has a soft angled head that follows the natural contours of a face making it easy for application. Use this brush with your favorite bronzer and blush to achieve contouring, shading or highlighting. Crease - The crease brush is perfect for applying eyeshadow into the crease of your eyelids; it is excellent for blending your shadow giving your eyes that super soft shadow look. You can also use it for blending out concealer under your eyes. This brush works beautifully in small areas. Foundation - A brush that is designed to achieve an ultra smooth, poreless finish. Use this brush to apply your favorite foundation, tinted moisturizer or face cream products to create a seamless, flawless finish. Liner - Create precision lines with this easy application eyeliner brush. Use with liquid or cream products for flawless lines. Lip - A sleek lip brush that is perfect for applying lipstick and gloss. Swipe some color from your favorite lipstick and then dab the color onto your lips starting from the center and working your way outward to the corners of your lips. The flat and tapered brush head allows for easy application within your lip line. Pencil - Is designed with a tapered making it perfect for smudging pencil eyeliner or shadow on the upper and lower lash lines. Use it to create a defined outer eye area. 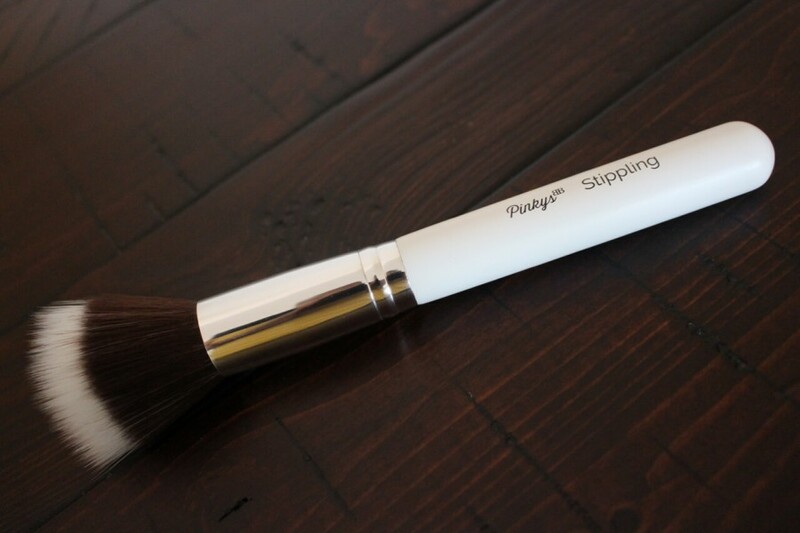 Powder - Great looks start with this powder brush; use it to apply a flawless base. Evenly distribute powders and mineral foundations to achieve a natural and delicate finish. Shader - The size and shape of this brush makes it perfect for placing eyeshadow on the lids. The brush head is rounded with densely packed bristles making it easy to pick up the right amount of color. Use it to apply shade or to blend wet and dry shadows. Stippling - Our stippling brush will quickly become your favorite. Use it to apply foundation and achieve airbrushed coverage. It can be used with liquid or cream foundation. 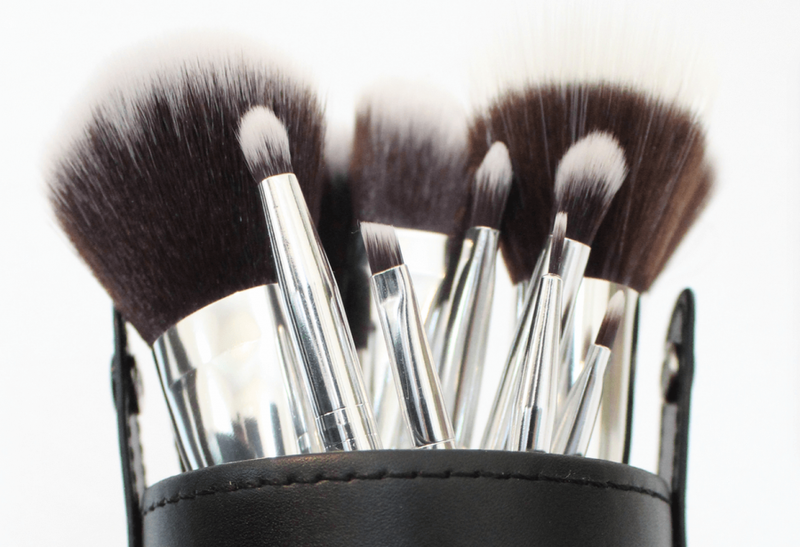 Squeeze some foundation onto the back of your hand and then tap the brush into the liquid. In a light tapping motion, stipple the liquid over the entire face.